You’ll see a lot of smiling faces here. Our biggest smiles come from the kids who wear our products. That’s because Surestep is loved by parents, orthotists and physical therapists around the world. Surestep orthotics are custom-made to provide the extra support these amazing children need to run, jump and play. In fact, our core product, the patented Surestep SMO system, revolutionized orthotic management for children with pronation or low muscle tone (hypotonia) worldwide. Providing creative solutions to give stability and independence to children who struggle to walk with confidence is why Surestep began, and why it exists today. We hope once you learn more about our life-changing products, you’ll be all smiles, too. As soon as Kogan put his first pair of Surestep SMOs on, he was a completely different child. 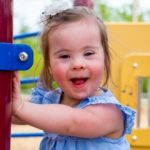 I would definitely recommend Surestep for any child who needs help with their balance. 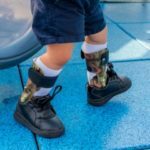 Affectionately referred to as “racers,” “rocket shoes” or “super fast feet” by the kiddos who wear them, the Surestep product line includes a comprehensive selection of devices to assist children with a wide range of mobility challenges. Each product is custom-made specifically to the child’s feet to achieve the ultimate in fit, function and comfort. The length of time a child may wear a device will vary. But no matter the time frame, the goal of wearing a Surestep orthoses is always to help build a child’s strength, stability, confidence and independence.